So, among all those new people you met last night in that cool bar in Copenhagen‘s center is a special one – who you’d like to impress with a proper and unusual date but you aren’t very familiar with the city. The good news is that we are so, follow our lead and kick-off your date. Book two train tickets to the neighboring city of Malmö. Not only will you be in Sweden in only 40 minutes but also you’ll have crossed the The Øresund bridge. The 16km long road and rail link between Sweden and Denmark consists of a bridge, an artificial island and an underwater tunnel. It’s considered an architectural masterpiece of the 12th century. Even if Malmö isn’t the most impressive city you’ll visit in your life, it has plenty attractions and events and besides just traveling above Øresund Strait worth your time. Take a trip through universe and learn about the Solar System and the night sky at Tycho Brahe Planetarium. 3D movies are projected on a 1000m² dome-shaped screen, The Dome Theatre, creating a unique experience for the viewers. Whether you’ll decide to watch a movie for the space, the sea or the world’s natural phenomena, you’ll feel like you’re part of the movie. Take your significant other on a day trip at the Deer Park (Jægersborg Dyrehave) and a enjoy one or more rides at Bakken amusement park. You’ll definitely make an impression when you reveal that Bakken is actually the oldest amusement park in the world and that it has an 82-year-old wooden rollercoaster. It’s a good idea to prepare a picnic basket and enjoy a tasty lunch under the huge ancient trees among approximately 2,000 deers at Jægersborg Dyrehave. If your other half is a jazz enthusiast, Jazzcup should definitely be added to your date list. The cozy cafe and CD shop is located just in the heart of the city center on Gothersgade, and hosts live concerts every Friday and Saturday from 3.30pm until the evening. 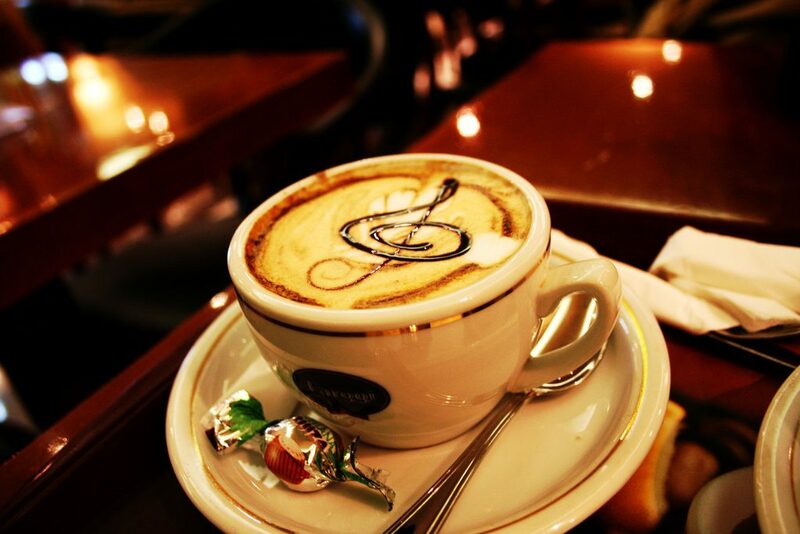 You can drink a warm cup of coffee under the sound of jazz music while planning the rest of your day. If you’re more of a ‘fitness couple’, Nørrebrohallen is the place for you. 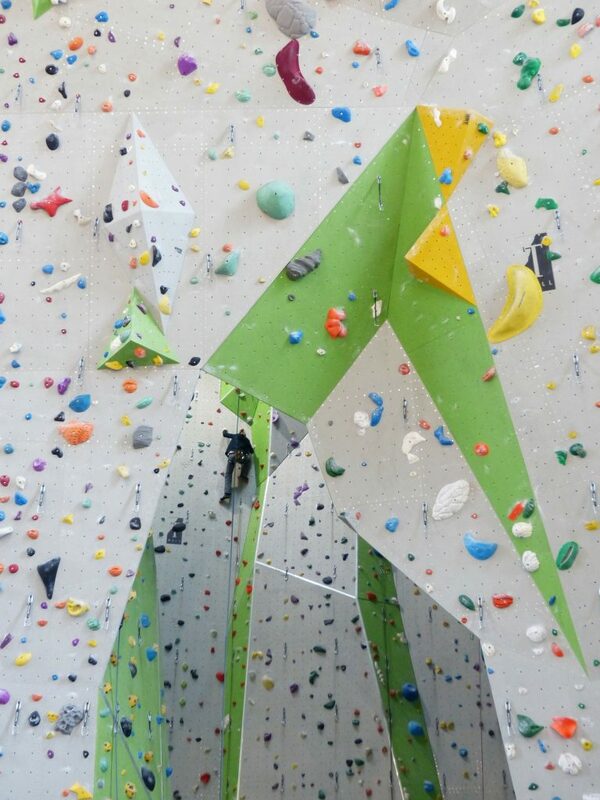 There you’ll find plenty of activities such as climbing, capoeira, squash and more. Make sure to wear proper clothing and check out the admission fee for drop-in classes. 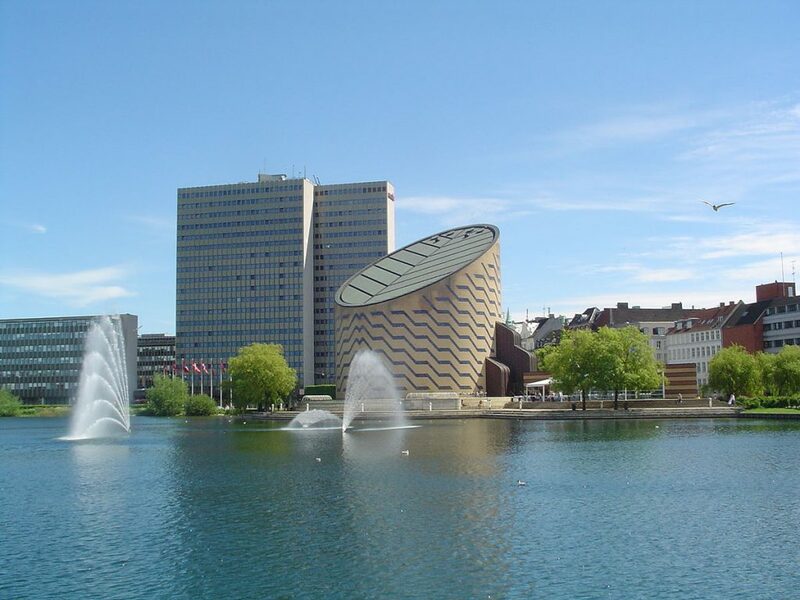 The sports center is located in Nørrebro, on Superkilen Park, so once you’re done with training enjoy a relaxed walk in the city’s most innovative park. Sometimes summer never comes in Denmark. So, if you’ve planned to take your sweetheart to one of Copenhagen’s beaches or canals you may be disappointed. However, the city brims with swimming pools of all styles and sizes. As you probably don’t want to slosh around among swimmers practicing their front crawl, DGI-Byen is the most suitable choice for you. It has a large elliptical-shaped pool, a diving pool with a climbing wall and a seesaw. Plus, it’s only a five-minute walk from Copenhagen Central Station. Copenhageners use their Christiania bikes not only for moving stuff but also for a pleasure ride around the city. It’s very common to see dogs, children and adults on the tricycle cargo bike, with the latter usually holding a speaker and a bottle of beer. Rent one and explore Copenhagen on your date. You’ll (probably) have a lot of fun and you’ll be able to see many parts of the town. Don’t forget to buy the necessary snacks and drinks. 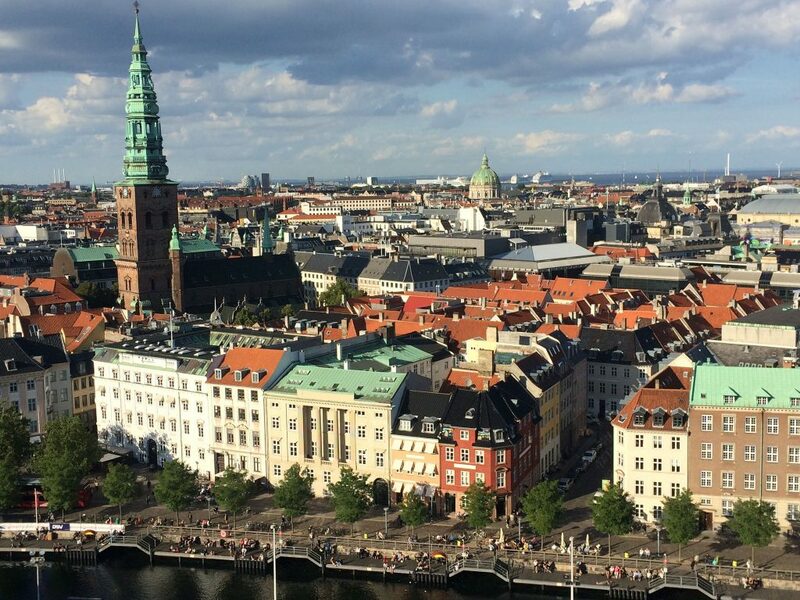 Gazing at the city from above may not be a super unusual date idea, but if you decide to make it part of your rendezvous make sure to visit Christiansborg Palace tower. Stretching 106 meters from the ground, the impressive tower is the highest in Copenhagen. On the top you’ll also find The Tower’s restaurant where you can taste traditional Danish dishes. 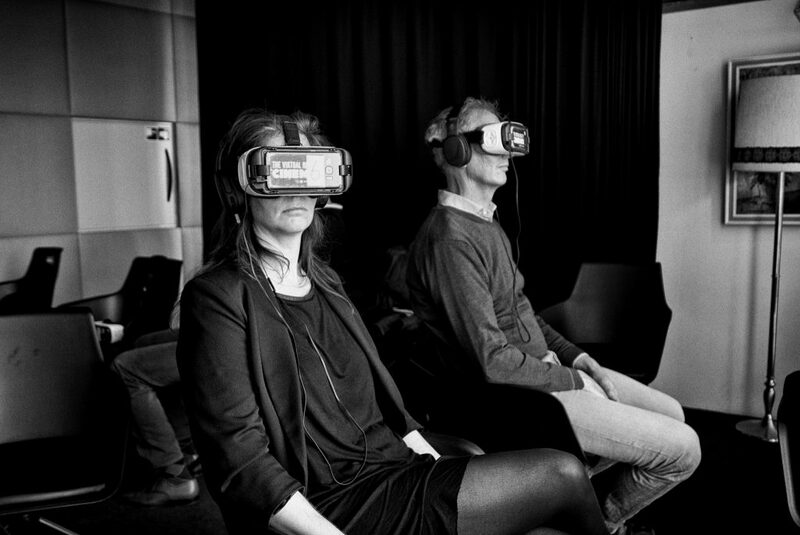 Spice up your date with a virtual reality experience. For 30 minutes, you and your partner will be traveling to other worlds filled with color and adventure. Khora is the world’s first VR store and is located in the hip Meatpacking District. That means that you have plenty of choices for dinner or a drink once you take your VR glasses off. When the sun shines in Copenhagen, swan-shaped paddle boats keep popping up at Nørrebro lakes. 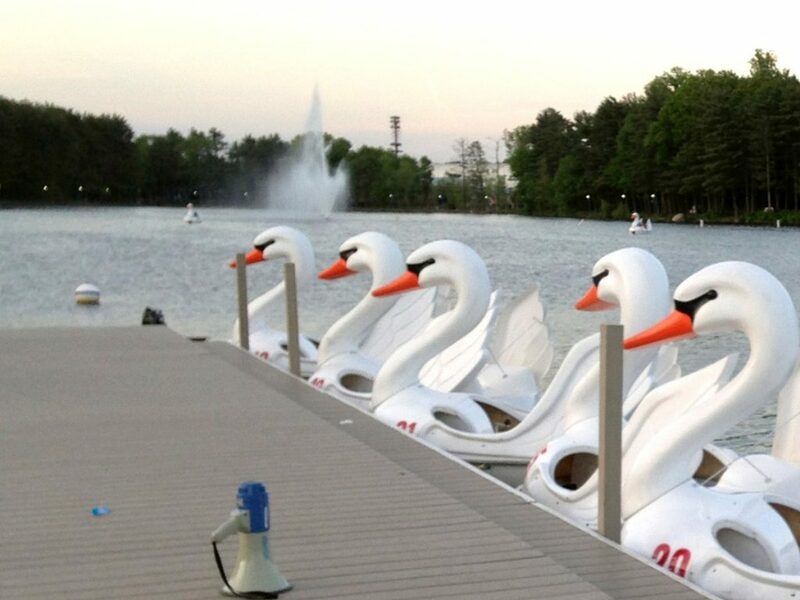 Copenhageners get all the necessary refreshments and for one hour stroll around among the lake’s swans. You can rent yours for 30 minutes or one hour at Kaffeesalonen, which is a beautiful café located right next to Queen’s Louises Bridge. In the summertime, you’ll see plenty of boats sailing around Copenhagen’s canals. Rent yours from GoBoat, cook a delicious meal and buy a good wine and you’ll offer the ultimate romantic and unusual dinner to your favorite person. You don’t have to own a licence and it’s quite easy and simple to operate the boat, so you’ll be able to enjoy the tour without stress.